This article was posted on 15th July 2016. Knowing what's going to be big in interiors is a gift our buyers practice year after year, a talent that only gets better with exercise. They spend their time, eyes peeled, flicking through mags, watching the runways, attending interiors shows - looking for that intersection where the fashion and interiors worlds collide to create a trend just right for The French Bedroom Company. We've always stood firm on the fact that we only like trends that have a timeless quality. You should be able to incorporate trends into your home, then stand back and watch them age with beauty and stand the test of time (or at least five years). Accessories will always be the exception to this rule - smaller items where quirky and playful are the order of the day. In our Summer Trends series, we're looking at how to translate the trends we're wearing this Summer into statement style for our homes. We celebrate the arrival of summer as it means half our wardrobe is recommissioned - the white jeans, the linen shirts and broderie anglaise shift dresses can come out of hibernation. 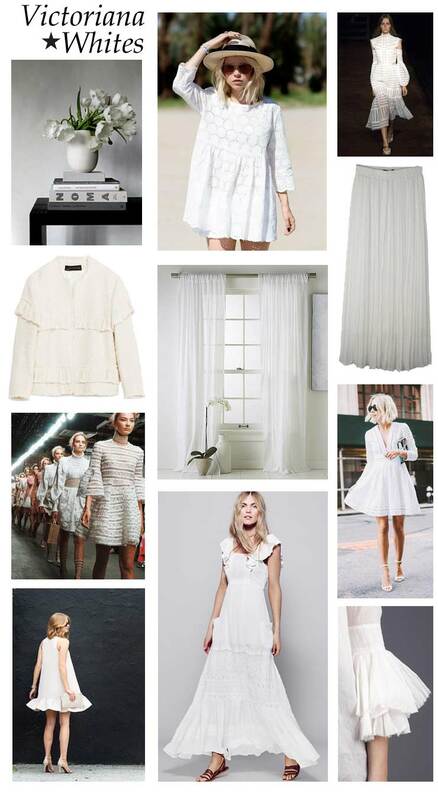 Nothing says Summer more than an all white outfit with natural makeup, golden glow and a soft tousled bun. We always envy those girls careful enough to float around on Summer days in their all white floaty dresses and billowing blouses with ruffles, frills and ruches at every seam. The Spring 2016 runways where awash with whites from Zimmermann's Victorian inspired "Master & Mischief" collection at NYFW, whilst Erdem's London show exhibited prairie themed bell sleeves and millefeuille layered organza for a whimsically romantic look. "With the resurgence of femininity in fashion, it's no surprise the all-white Victoriana style is everywhere right now. From lace to broderie anglaise, ruffles to tiered layers, summer 2016 style is all about teaming the ultra-girly with a bit of an edge - think Stan Smiths or gold hoops for a cool touch. Whether it's a blouse or a maxi, fashionistas are loading up on white pieces because they're super versatile, flattering, and effortlessly chic." Top right: Erdem SS 2016; White Pleated Skirt; Ruffle Blazer; Zimmermann Runway NYFW SS 2016; Centre Bottom: Free People Maxi Dress; Bottom Right: Acne Agatha Blouse (sold out). There's a multitude of ways to get this look in your home... When surrounded by neutral walls, layers of soft cottons and linen can make the perfect shabby chic home. Pile lacey cushions and ruched bedspreads high in a French bed to be transported to a Summer retreat in Provence. Alternatively, for a modern laid back feel layer up your white ruffles with darker walls - try Farrow and Ball's Railings, metallic accessories and a grey upholstered bed to emulate a cool, Ibizan boutique hotel. As a finishing touch, flowers make the ideal final ruffle - try peonies for a wow or, one of our personal favourites, a white cascading orchid for a subtle chic. 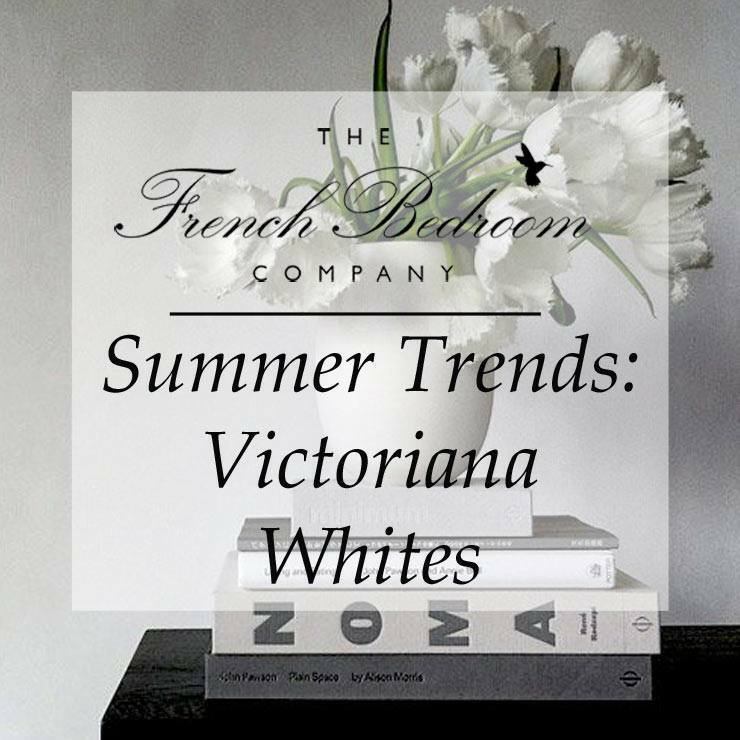 Here's our FBC must-haves for completing the Victoriana Whites trend. Lifestyle images clockwise from top left: White Painted Console Table, Ornate White French Mirror, White Vase; White Pom Pom Bedspread; White Painted French Bed, Silver Glass Lamp; White Lace and Silk Cushion, Grey Ruffle Cushion. 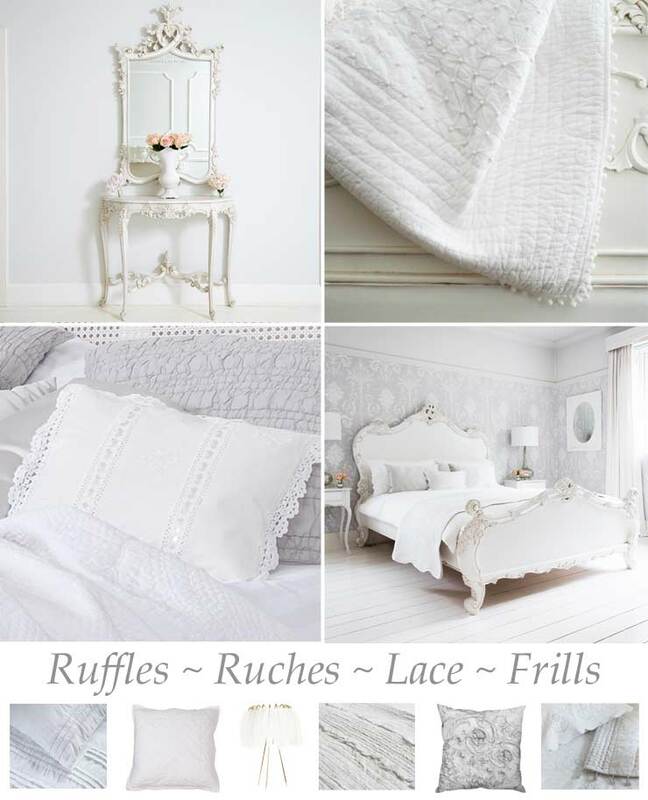 Products along bottom from left to right: White Ruffle Bed Linen, White Quilted Cushion, White Feather Table Lamp, White Ruched Bedspread, Stone Detail Cushion, Broderie Anglaise Embroidered Bed Linen.